Editor's note: Unrefreshing sleep and memory loss have been frequently reported Gulf War Illness symptoms. Now, and NIH-funded study shows an even greater interrelationship between sleep and memory. 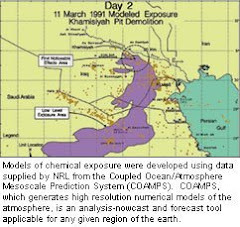 Perhaps even more important for Gulf War Illness is the discovery that the brain appears to be cleansing itself of toxic molecules during sleep. 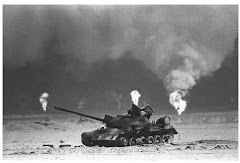 Gulf War Illness researchers and those who follow GWI research may find value in these important recent findings. A good night’s rest may literally clear the mind. Using mice, researchers showed for the first time that the space between brain cells may increase during sleep, allowing the brain to flush out toxins that build up during waking hours. These results suggest a new role for sleep in health and disease. The study was funded by the National Institute of Neurological Disorders and Stroke (NINDS), part of the NIH. “Sleep changes the cellular structure of the brain. It appears to be a completely different state,” said Maiken Nedergaard, M.D., D.M.Sc., co-director of the Center for Translational Neuromedicine at the University of Rochester Medical Center in New York, and a leader of the study. For centuries, scientists and philosophers have wondered why people sleep and how it affects the brain. Only recently have scientists shown that sleep is important for storing memories. In this study, Dr. Nedergaard and her colleagues unexpectedly found that sleep may be also be the period when the brain cleanses itself of toxic molecules. Their results, published in Science, show that during sleep a plumbing system called the glymphatic system may open, letting fluid flow rapidly through the brain. Dr. Nedergaard’s lab recently discovered the glymphatic system helps control the flow of cerebrospinal fluid (CSF), a clear liquid surrounding the brain and spinal cord. Scientists watched dye flow through the brain of a sleeping mouse.Courtesy of Nedergaard Lab, University of Rochester Medical Center. “It’s as if Dr. Nedergaard and her colleagues have uncovered a network of hidden caves and these exciting results highlight the potential importance of the network in normal brain function,” said Roderick Corriveau, Ph.D., a program director at NINDS. Initially the researchers studied the system by injecting dye into the CSF of mice and watching it flow through their brains while simultaneously monitoring electrical brain activity. The dye flowed rapidly when the mice were unconscious, either asleep or anesthetized. In contrast, the dye barely flowed when the same mice were awake. To test this idea, the researchers inserted electrodes into the brain to directly measure the space between brain cells. They found that the space inside the brains increased by 60 percent when the mice were asleep or anesthetized. “These are some dramatic changes in extracellular space,” said Charles Nicholson, Ph.D., a professor at New York University’s Langone Medical Center and an expert in measuring the dynamics of brain fluid flow and how it influences nerve cell communication. Certain brain cells, called glia, control flow through the glymphatic system by shrinking or swelling. Noradrenaline is an arousing hormone that is also known to control cell volume. Similar to using anesthesia, treating awake mice with drugs that block noradrenaline induced unconsciousness and increased brain fluid flow and the space between cells, further supporting the link between the glymphatic system and consciousness. Previous studies suggest that toxic molecules involved in neurodegenerative disorders accumulate in the space between brain cells. In this study, the researchers tested whether the glymphatic system controls this by injecting mice with labeled beta-amyloid, a protein associated with Alzheimer’s disease, and measuring how long it lasted in their brains when they were asleep or awake. Beta-amyloid disappeared faster in mice brains when the mice were asleep, suggesting sleep normally clears toxic molecules from the brain. The results may also highlight the importance of sleep. “We need sleep. It cleans up the brain,” said Dr. Nedergaard. This work was supported by grants from the NINDS (NS078167, NS07830, NS028642).